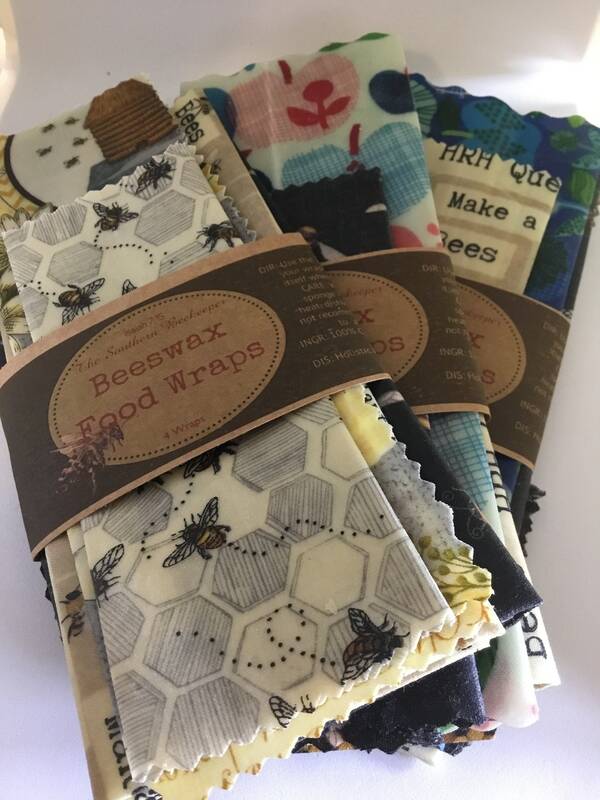 These zero waste food wraps are just what the thrifty environmentally sound individual is looking for. 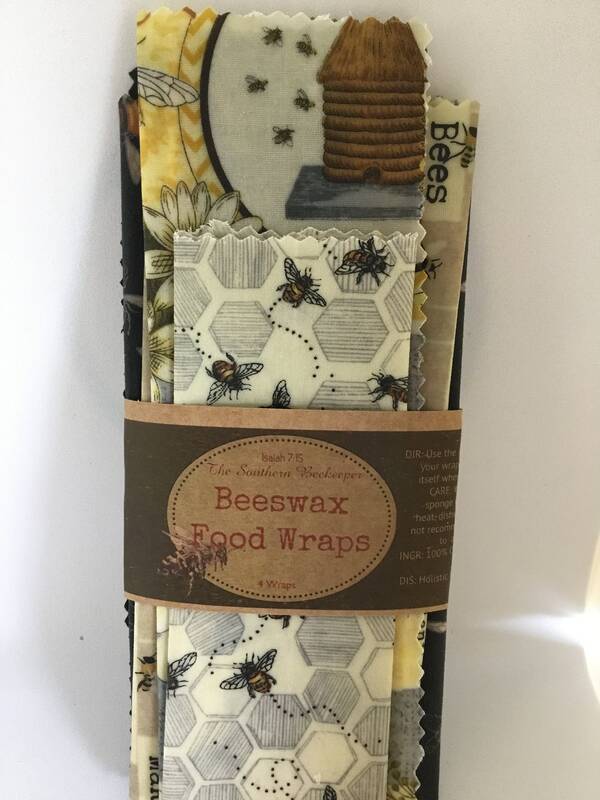 Made with 100% cotton fabric, beeswax, pine resin, and jojoba oil, these wraps are long lasting and a magnificent alternative to saran wrap or ziploc bags. 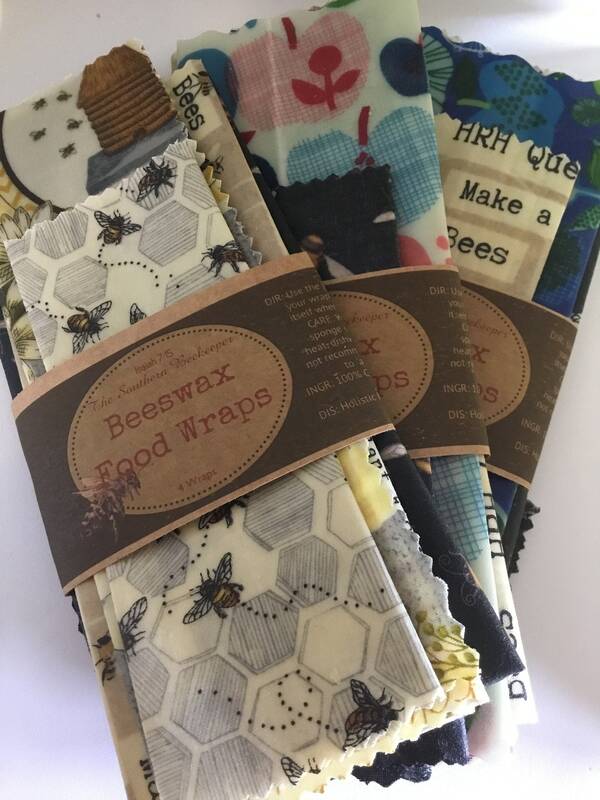 Use them to wrap your sandwiches, fruits, or containers. They are pliable, easily molds to your food, and simple to maintain. 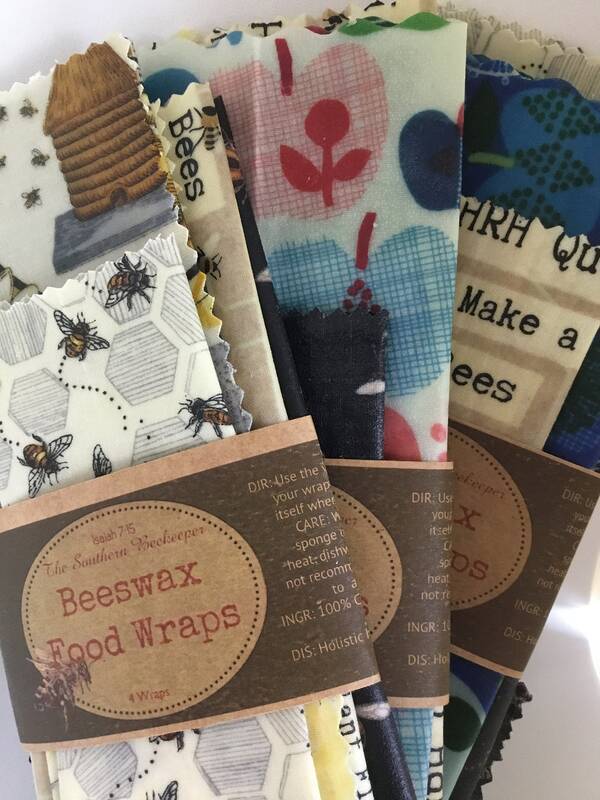 This 4 pack includes 1 small, 1 medium, 1 large, and 1 extra large wrap. Fabric variations will very and are random. Most are bee related.